Bit of a different beauty format today, as I’ve teamed up with UGG to share how I spend the cold Winter evenings and, of course, I had to cover the pampering side of things. 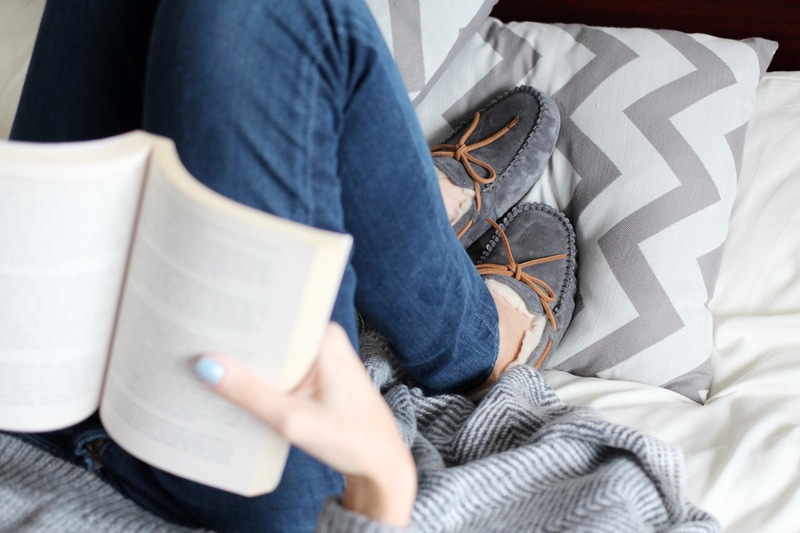 Along with other bloggers, UGG have showcased lots of tips and tricks about blogging, food and other hobbies you can take up to maximise your time indoors as the temperature drops. The Feels Like Home section is a great read and you can find my section riiiight here (so weird seeing my picture on the UGG homepage!). Oh and can we mention my slippers for a second? 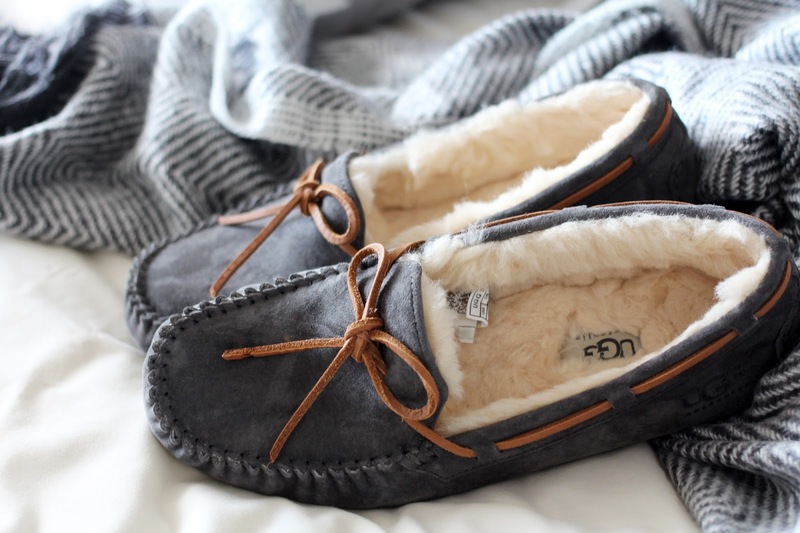 The UGG Dakota slippers are so unbelievably comfy, I genuinely get excited to put them on when I get home! Onto the pampering… I picked five products to cover all of the bases and I’ll start with skincare. There’s nothing more rejuvenating after a day outside in the elements than taking your makeup off with a hot cloth and a balmy cleanser. I love the One Love Organics Skin Saviour for this, as the warm slightly citrus scent makes for a spa experience all on its own. After, I apply a layer of the Origins Clear Improvement Mask to draw out any impurities that’s been blown at me and let that work for a good 10minutes before removing. If I’m running myself a bubbly bath, I’ll stick on a hair masque to revive my dry ends and the Bumble and Bumble Deeep Treatment is always my no.1 choice. It’s hydrating, smoothing but doesn’t weigh hair down at all. The perfect treat if your hair is looking a little worse for wear. When I finally manage to drag myself out of the bath, I always apply a luxe feeling body moisturiser so The Body Shop Almond Body Butter is always a good option for me. It’s thick, yet sinks in well, leaving skin smooth and soft. Plus it smells divine! Finally, you can’t talk about pampering without gettin’ yo nails did, so I’ve recently been opting for the beautiful Essie Bahama Mama this AW. It’s the perfect dark berry shade which looks so chic on the nails! Opaque in two coats and dries quickly too – bonus! 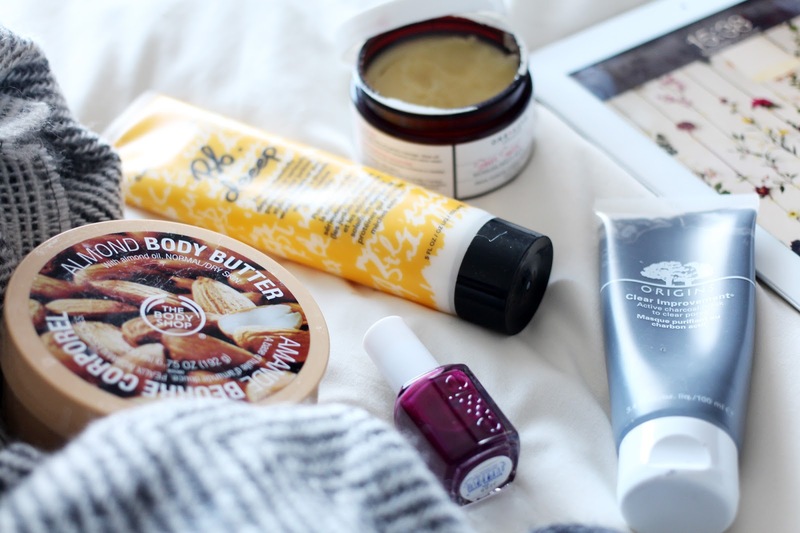 What do you do to pamper yourself after a day in the cold? Let me know! heck out these blogs: A Dash of Ginger, Gyudy’s Notes of Beauty, Erika Eventually and Jordan Alice.